As a Jacksonville criminal lawyer, I have represented people charged with different types of Florida driving charges. Some of the well known crimes are Jacksonville driving under the influence and Jacksonville driving on a suspended license. Florida DUI arrests cause drivers license suspensions. Driving while having a license suspended or revoked seems to occur the most often and leads to driver’s loosing their licenses for 5 years as Florida habitual traffic offenders. In 2012, I have noticed another Florida criminal traffic charge taking the local media spotlight lately. I have been reading a lot of articles about Jacksonville hit and run car accidents. I have also been writing about Jacksonville hit and run accidents. 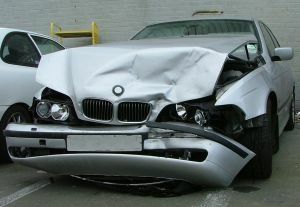 “(1)(a) The driver of any vehicle involved in a crash occurring on public or private property that results in injury of any person must immediately stop the vehicle at the scene of the crash, or as close thereto as possible, and must remain at the scene of the crash until he or she has fulfilled the requirements of s. 316.062. Any person who willfully violates this paragraph commits a felony of the third degree, punishable as provided in s. 775.082, s. 775.083, or s. 775.084. If you need help from a Florida criminal lawyer or Jacksonville drivers license attorney, call (904 564-2525.